Blog Hoppin': Let's get SALE ready! 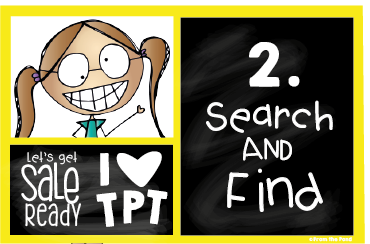 Here at Blog Hoppin' you may have guessed that we LOVE TpT! 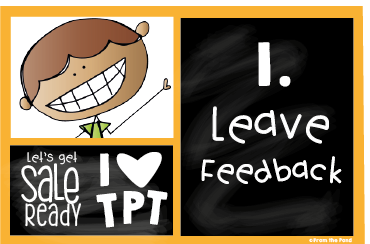 We love teachers as much as we love TpT. To show you our appreciation we are all joining in the huge site-wide sale from May 5th to 6th. You will find our stores on sale, and TpT will provide you with an additional 10% discount by using the promo code THANKYOU in the checkout process. 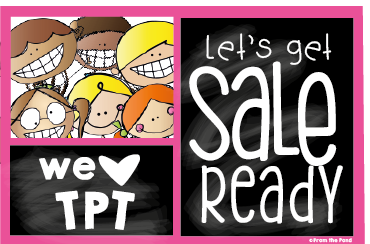 We love TpT sales - they are super fun AND you can stock up on super high quality resources and clipart. It is seriously the BEST time of the year to get the most value from your shopping! We are all busy getting 'sale-ready' ourselves and thought that you may like to join us. Leaving it to the last minute can lead to disappointment and a feeling of panic - so get in early, prepare with a few easy steps and you will be all set! Here are some things you can do today, to be in the best position for sale day! 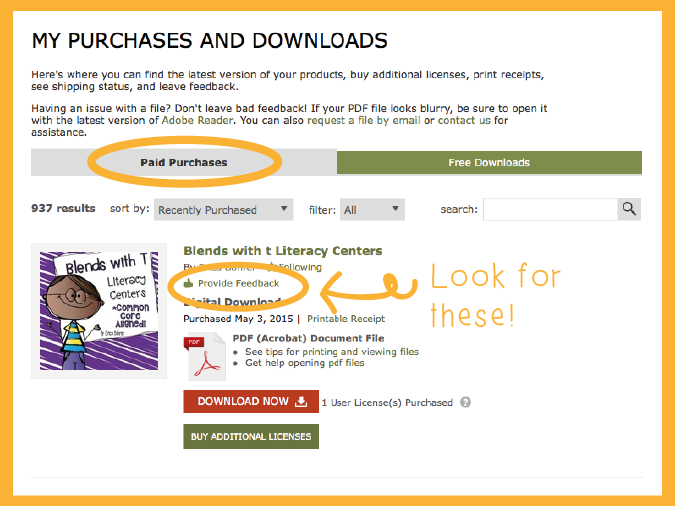 Sign into your TpT account and leave feedback for all your past purchases. In your purchase list you will find reminders to 'provide feedback'. By leaving feedback you will earn points to offset some of your future purchases. It feels like you are being rewarded for your shopping! Once this is done, you will have a nice little bank of points to use during the sale. Don't forget that any purchase that you make during the sale will also reward you with additional points. The key to being prepared on sale day is to know some of what you would like to purchase in advance. Now is the time to take a look around and find some great value additions to your classroom program. Take advantage of the substantial savings! Find your favorite sellers and take a look through their store. Use their 'Custom Categories' to find resources that suit your needs. Take a look at some categories you may not have looked at before. Now is the time to flick over to Pinterest or your favorite collaborative blogs and find some new sellers that may have recently showcased a new resource that took your eye! As well as using custom categories on TpT, utilise the search functions to really sort out and discover high quality resources. Do not just rely on typing words into the main search bar. You can search by multiple categories to narrow down your selection. This is on the TpT main page. Here is an example I tried. 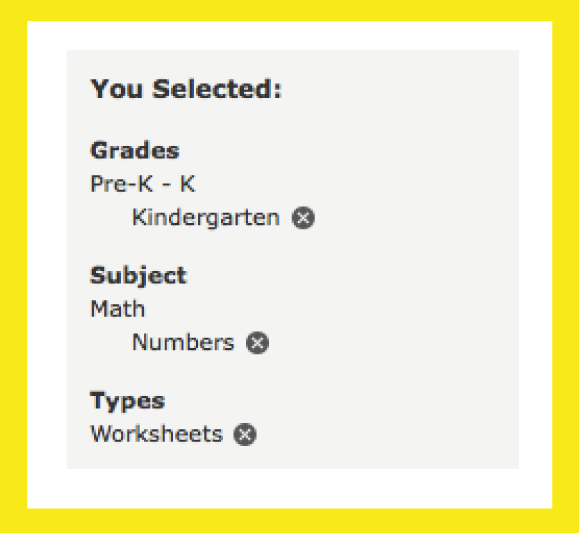 I searched Kindergarten, Math, Number, then Worksheets. This will narrow down the search and focus on your particular needs. I would then suggest using the SORTING tool to display the search results in a particular way. I like to sort by 'Price Descending' on sale days. It will order the resources from the most expensive, and sale day is the day I like to make those purchases with the added advantage of the discount! 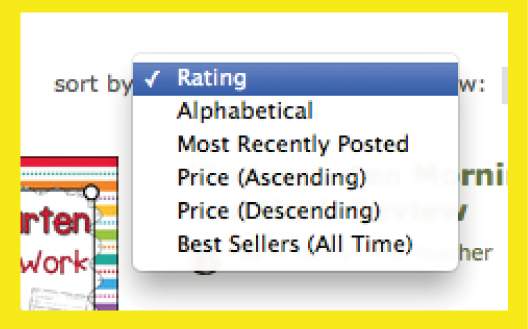 Another great sorting tool is Best Sellers (All Time) and Most Recently Posted. As you are finding the resources that catch your eye - load them onto your WISH LIST. Under each item price on TpT is a clickable link that will do all the hard work for you. Just click it. I tend to 'click with abandon'. If it catches my eye when I am on the resource-hunt - onto the list it goes. I am just gathering ideas at this stage, and I can take time later to make purchase decisions. It is part of the fun to build a nice big stocked-up wish list. If you don't end up buying them in the sale, you have them saved for a later day. Don't forget to head back to your wish list on sale day and move your items over to your checkout. Buying in bundles is perhaps the BEST way to maximise the value you will find on sale day. 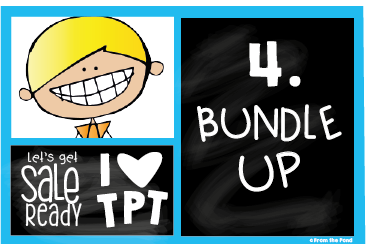 Many TpT sellers offer their resources in 'bundles' or 'mega packs'. These consist of a zip-file of multiple resources all packaged up in one value-packed reduced price. When purchasing some of my bundles, you can save up to 50% off the single-file price. Now, combine that with a 20% of store discount and a 10% site discount, and really you are crazy not to BUY IN BUNDLES! 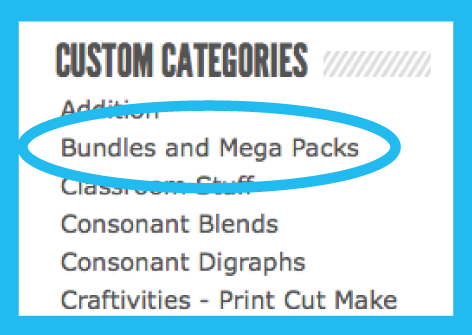 Use the Custom Categories in your favorite sellers' stores to find their bundles. Don't forget to add them to your wish list! 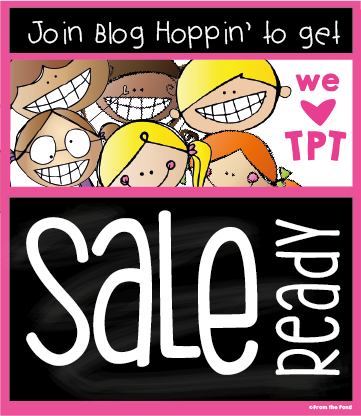 Keep a look out from now to the sale for ways to WIN TpT gift certificates. Many sellers and bloggers will be looking for ways to help you enjoy the sale and giving away gift certificates is all part of the fun. TpT sellers will advertise these on Facebook, Pinterest, Instagram and on blogs. Keep a look out and enter as many as you can! Find more blogs that have gift-voucher give-aways by looking through the link-up below. Bloggers, you are very welcome to link-up to this post to help your followers get 'sale-ready' and find gift-vouchers to win. You must add the button below to you post, link back to this post and have a TpT gift-voucher giveaway of some sort on your blog, in readiness for the upcoming sale!